I've watched programs about the Tsukiji Fish Market for years so this was certainly a place I wanted to visit while in Tokyo. All of the huge tuna comes in to the dock (via fishermen) and restaurants bid on it during the daily morning auction. 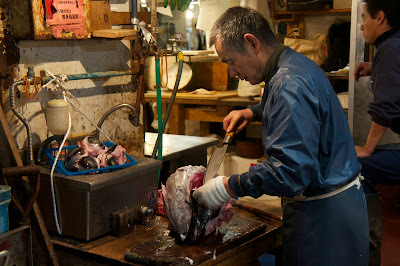 Because we were there close to the holiday season, the tuna auction was closed to tourists. Bummer! But we did get to walk through the market at 9am. This was certainly not a "tourist" stop. 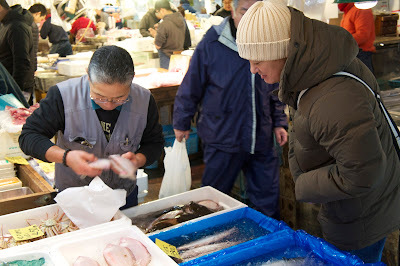 The market is very busy and locals take it very seriously. 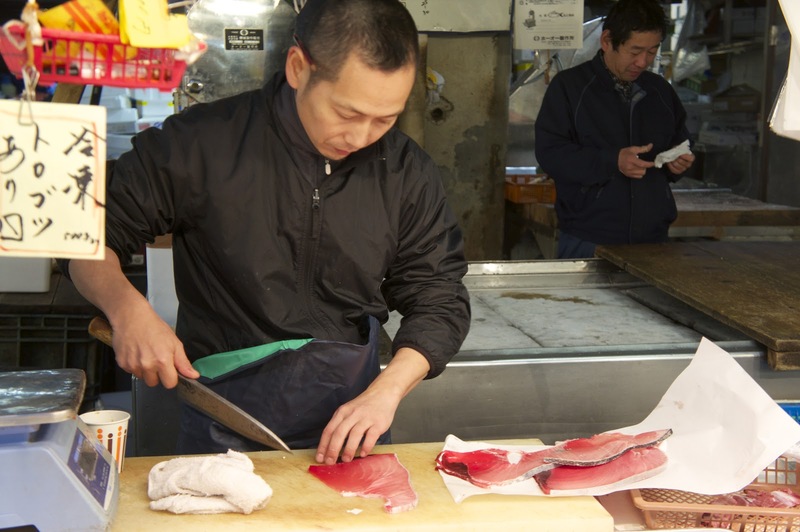 Since seafood is such an important part of the Japanese diet, the market is the place to be for restaurants, chefs and cooks. There is an unbelievable amount of places to eat in Tokyo and this is where the fish comes from. Every type of seafood available could be found here. 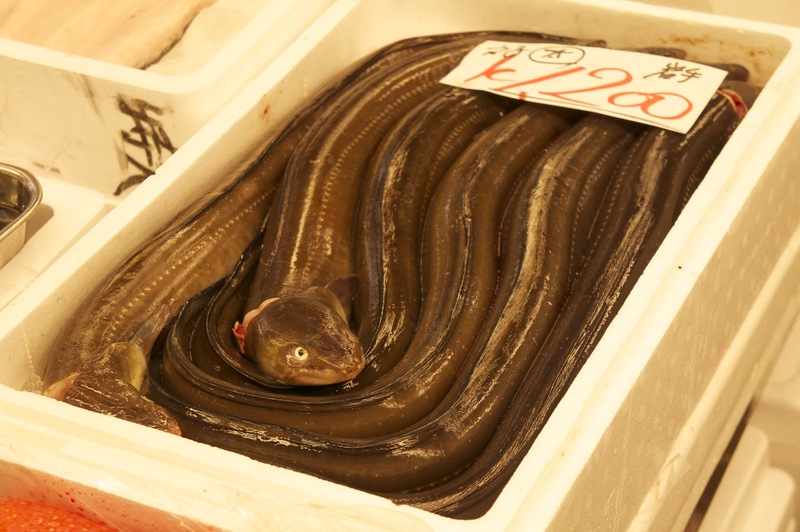 Eel is part of a traditional Japanese dish. I ordered it (Unagi) at the Four Seasons Tokyo and although I wasn't too fond of the smoked taste, I finished it. 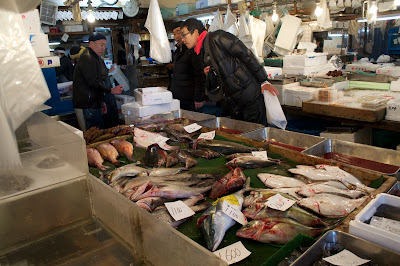 We walked through at the least busy morning hour and people were still cutting portions of fish, calculating sales and unpacking items. Chefs were still negotiating but mostly business was winding down. James and I really loved walking through the market taking pictures. We could have spent hours here. If I ever get to return to Tokyo, I'd like to attend the tuna auction. Amazing!